Construction of concrete fish tank as an enclosure for fish housing could be built using a wide type of materials such as; metals, blocks, cement, gravels or stones and outlets and inlets facilities. Concrete mixture is a mixture of cement, fine (aggregate commonly called sharp sand), coarse aggregate and gravel (granite) mix together in appropriate proportion with water added to form a paste. Concrete could be plain or reinforced. Plain concrete is the one without steel rod. Reinforced concrete is the one embedded with steel rod. The steel rod technically called reinforcment bar. The choice either plain or reinforced is the function of specific use. A structure could be plain and reinforced. Procedure For Concrete CatFish Tank Construction. You can Buy Fingerlings in Nigeria from AfriShopOnline via this link. Bayelsa State is one of the states in Nigeria that are worst hit by the raging floods that devastated many parts of the country. The sad development has led to the destruction of buildings, farmland and other means of livelihood of the riverine and estuarine settlements in the state, leaving in its trail sorrow, despair and tears. 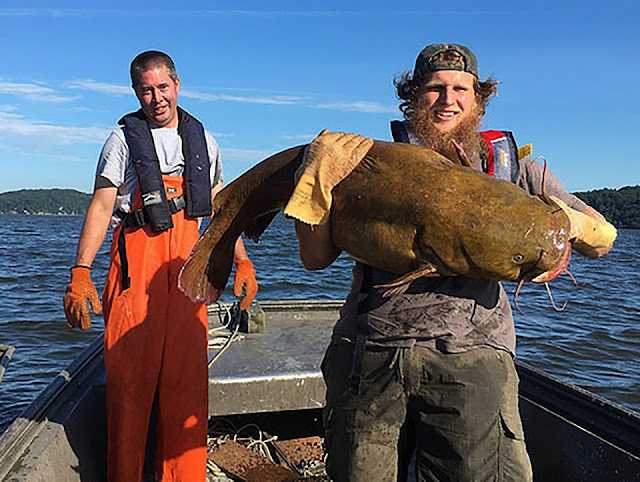 A fishery survey crew from the Maryland Department of Natural Resources on August 30 pulled a 56.5-pound, 44-inch flathead catfish from a hoop net in the Susquehanna River less than a mile downriver of the Pennsylvania-Maryland state line, according to Brett Coakley, fisheries biologist with the department. That's more than 8 pounds heavier than the largest flathead catfish recorded by an angler in Pennsylvania. The question “Simply how much feed should I give my fish?” can be an all important question that directly affects profits for some farmers. 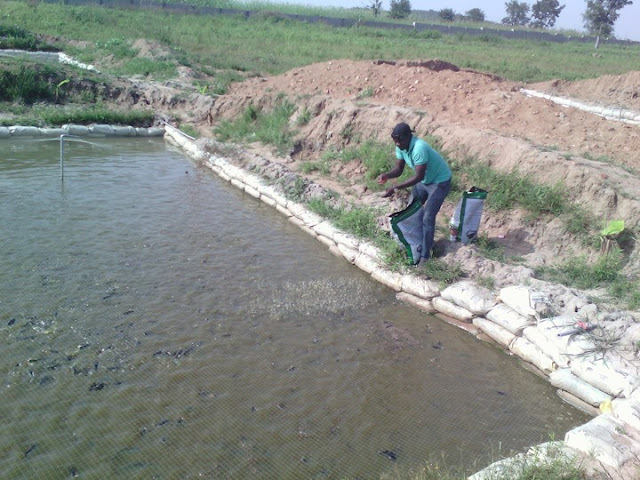 If Catfish are underfed, growth rate is slowed up, and if overfed, it reduces profits since feed is the best operating expense in virtually any farming business. 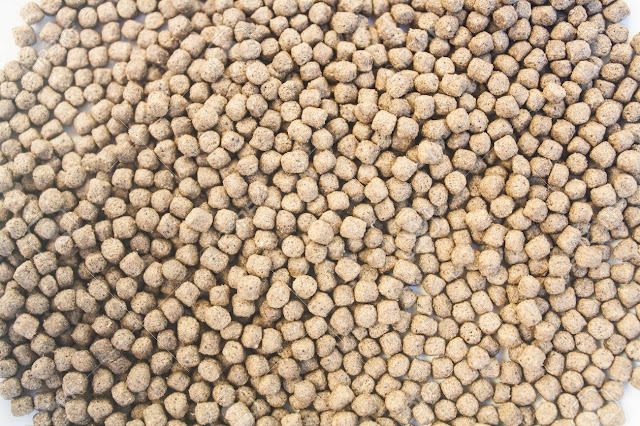 Floating fish feed Vs Sinking fish feed. There has been hot debates amongst farmers as to which of these two gives the optimal growth yet economical. 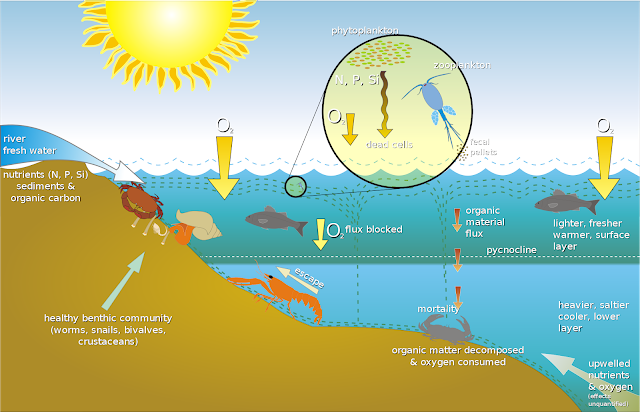 A lot of independent researchers who are not affiliated with either floating feed or sinking feed producers have come up with overwhelming results(field findings) of their findings.